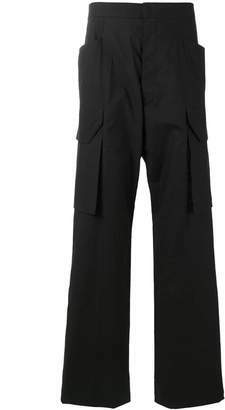 Skinny-fit cotton jersey cargo pants in black. Mid-rise. Beige drawstring at elasticized waistband. Eight-pocket styling. Rib knit cuffs. Button-fly. Silver-tone hardware. Tonal stitching.